Having my hopes reasonably low, I got blown away by this release. Granted I've only played 7-9 games, but from BF experience, this feels like a success. Combat and attrition - I think Dice managed to hit a sweetspot for it. People have enough ammo to last a few gunfights, and you get more ammo when picking it up from dead body. So far there are enough medics and stations to get yourself health packs. I've had small amount of time in vehicles, but so far they seem good, we need more time until people get upgrades. Maps are beautiful. I take my words back. Yes we have fewer maps, but map quality is multiple times better than BF3/4/1. I won't talk about customization because we need a good few weeks to a month in order to get familiar with it and unlock more items, but from what I've seen, it looks good. Now if you excuse me, I got places to be, and war to win. I watched some Russian guy live streaming it on YT over my lunch break. It looked just freaking fantastic, the next week is gonna be tortuous to get through. The compression of so many games into one time of year is so infuriating. I have time to waste now with nothing to play, come the end of the month I'll be swamped and divided between 3 games whenever I do get a chance to play. Stupid market driven game development. Tell me about it. I've got one day between the release of Fallout 76 and BFV lol. There are worse problems to have at least. I feel you both. I haven’t been able to really buy all that many games. So many I want to play. I didn’t get to try new doom game(being as I played the original dos version when it released I was kinda hoping to) can’t get red dead yet either. So many games get back logged. Guess I can pick most up when they have a big sale on steam. Second that OP. Dice have done a tremendous job. Blows BF4 and 1 away completely. Beautiful large maps with mixed elevation, sounds are superb, gun play is so refreshingly good. There is so much team-play! Everyone is reviving and resupplying. Squads are sticking together because they survive and advance more working together and covering their sixes. What a cracking game! Can see many hours being spent in this one. Performance is a little on the hungry side. Got to play around with settings but runs nicely once you can keep it around the 100 fps mark or above. My sympathies bud, especially for Doom as that was good fun and nice nostalgia (had the dos version too. Think I had it on the SNES as well actually). I'm hoping FO76 and BFV will be enough to tie me over until Metro Exodus comes out next year. I’m not all out I managed to get fallout 4 with dlc On Pc for 20 bucks a while ago with steam sales. Really must say that op nails it. Attrition works well, and most of the time you don't even notice it (just keep close to your team/squad). All the games I played was pretty balanced and the winning team often had less than 100 tickets left. The ticket-lead shifted several times from team to team, in several of the games I played. Netcode, as good as BF1, can always be improved, but still it's pretty good. There are a few bugs (mainly buddy-reviving not always working) and the number of V1-rockets are perhaps a little too high at the end of conquest games. But the amounts of bugs fixed and "nice" changes from the beta is impressive. This looks like it could be one of the best BF-games ever. Everyone needs to remember that nobody has high level unlocks yet. I'm enjoying myself too, but tank balance goes out the window once we see how effective and numerous at rockets are on the battlefield. Nobody has the best air-to-ground plane weapons yet either. Great game, thank you Dice! The team play stuff works (even without a friend list). The tanks are scary and its machine guns actually work. The medic, assault and support classes are great (didn't test scout). The support class is so much better than in BF1. Weapons feel great. The attrition system is no problem to handle and improves the game. Grand Operations was a step up. Maps are nice. Performance is great as well. Even love the planes swooping down and killing me. Snipers are more balanced even on large maps! Lets hope this feeling continue (small bugs exist, though didn't bother me). But it seems like the starting point (for balance) is way better than BF1/BF4. Both of these games had balance issues from the beginning, and some of them couldn't be fixed, without making very fundamental changes to the game, which Dice will not do. 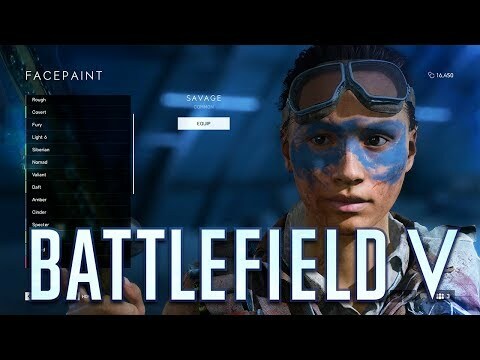 This can only make you hope that Dice will keep the overall balance like it is now, and that they only need small adjustments to the game in the future. I was already in love with the game, but I've gotta say I'm amazed to see you enjoying it so much. You've been very critical pre-launch, but now seeing how much you enjoy it, it makes me even more hyped. When a game can win over people who weren't very excited, it makes me,feel like its truly amazing. Have fun man! Seen plenty of comments about them being a "cod copy to lure kids"
Oh yeah. Assaults anti tank bundle is thrown just like other grendead unlike bf1 where it required longer. Betcha no one is gonna complain about that because it's assault. Oh I’m sure we will see those threads but remember ravic isn’t what a normal player should be based on. You average player will not use them since they don’t go boom and take a bit of aiming skill to use.